What does Granby House offer? 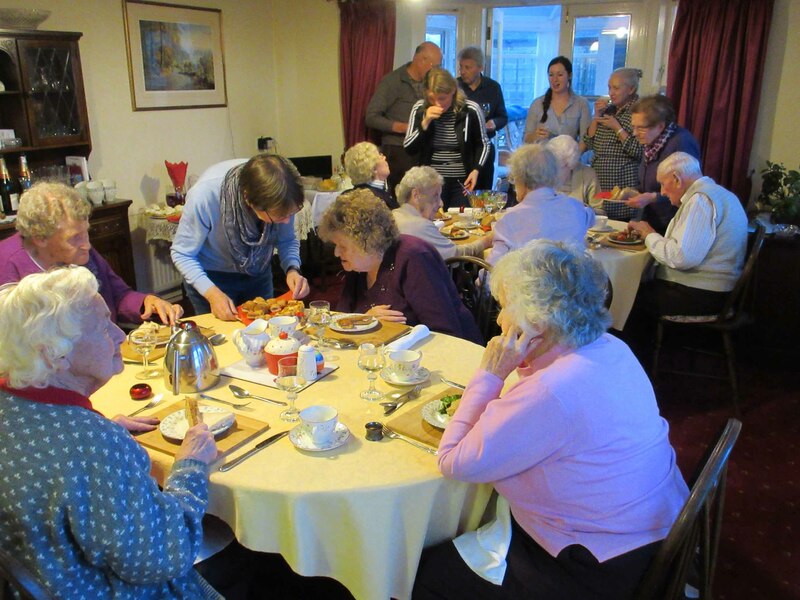 A recent party for a resident of Granby House. 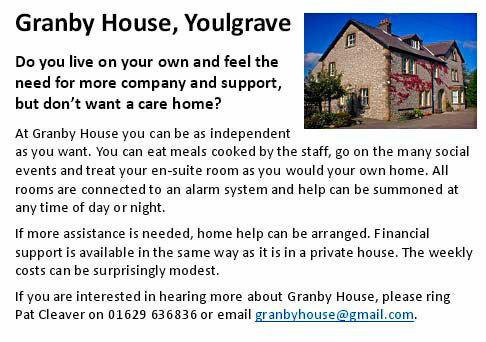 It’s easy to forget how lucky we are to have Granby House as part of our Youlgrave community. A unique asset amongst Peak District villages, it offers high quality sheltered housing to people regardless of income. As it operates as a social landlord, the rents are very reasonable compared to other operators’ schemes. Residents have their own private, self-furnished room with en-suite facilities and most importantly the companionship of up to eight residents and our friendly housekeepers. We also sometimes have two connected rooms suitable for couples. Whilst Granby is secure, residents have their own front door keys and can live as independently as they wish. All meals, with the exception of breakfast are prepared for you – so if you are tired of cooking for one Granby may be the answer! There are social events in the house, as well as the option of attending activities in the village. All rooms are connected to an alarm system and help can be summoned day or night. If more assistance is required home help support can be arranged. What does Granby House not offer? Whilst Granby prides itself on offering ‘very sheltered housing’, it’s not a care home and we can’t support people with dementia or mobility issues which prevent them from getting themselves to the dining room. There are no qualifications, but most residents either come from the local area, or have moved here to be near relatives. We encourage relatives to visit as often as they like and to join the residents for their morning coffee in the conservatory. Please don’t leave it too late to consider living in Granby. If you or a relative would like to consider Granby House please contact Pat Cleaver on 01629 636836 or talk to any of the trustees (see below). We would invite you to come along for a coffee, and to consider a two week trial in Granby House before you make a decision. To provide a sense of community and to keep running costs low, we rely on the voluntary efforts of our trustees, residents’ relatives and the local community. We are looking to recruit more trustees to join Pat Cleaver, Ian Webster, Irene Shimwell, Gordon Coupe, Ena Prime and Maggie Thurman. Please ask any of us for more details of the role. Thank you.